Hire a Scottish wedding or ceilidh band to play everything from The Beatles to Beyonce to the Bridge of Athlone! For a blend of timeless classics and modern chart hits, hire a band in Scotland to play rock and pop classics, including hits by Scottish bands such as Runrig and the Proclaimers, and modern Scottish favourites Franz Ferdinand and the Fratellis. Or how about hiring a soul wedding band in Scotland? They’ll keep your guests dancing with classics by James Brown, Michael Jackson and Scottish stars the Average White Band. If you’re not into dancing to The Killers in your kilt or spinning to the Strokes in your sporran, how about hiring a ceilidh band in Scotland? 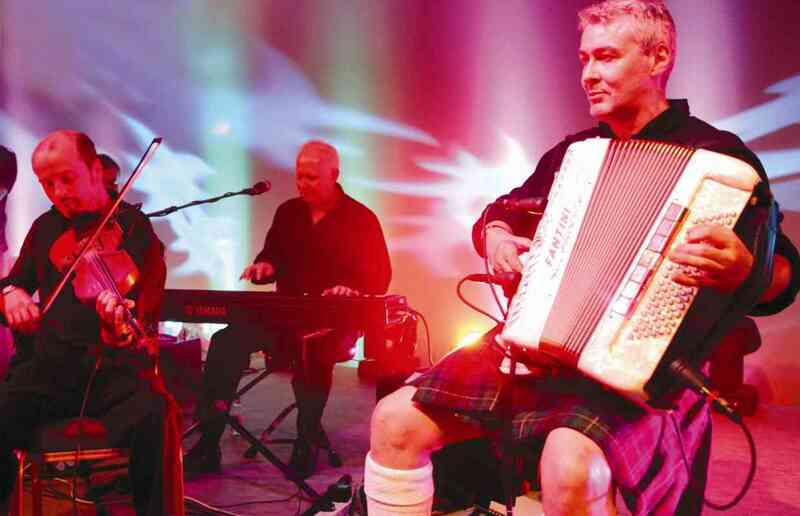 Ceilidh bands make great wedding bands and are fantastic entertainment for children. Our jazz bands in Scotland play a diverse selection of sophisticated classics. Hire a background jazz trio to play during your wedding reception or banquet, then take it up a notch with a Scottish swing band later on. We have wedding entertainment in Scotland for all budgets and tastes, and our Scottish wedding musicians have provided a joyous soundtrack for brides and grooms all over the country, at venues such as: Lodge on Loch Goil, The Caves, Burnhouse Manor Hotel, Wedderburn Castle, Dryburgh Abbey Hotel, Easterbrook Hall, Gleddoch House Hotel, Hamilton Park, Sherbrooke Castle Hotel, Stonefield Castle and many more. We can provide wedding bands in Aberdeen, Dundee, Paisley, East Kilbride, Livingston, Hamilton, Cumbernauld, Dunfermline, Kirkcaldy, Ayr, Perth, Inverness, Kilmarnock, Coatbridge, Greenock, Glenrothes, Airdrie and Stirling. See also our more specific regional listings: wedding bands in Glasgow and wedding bands in Edinburgh. Fresh and dynamic Irish and Scottish ceilidh band with tons of experience playing at weddings, parties and celebrations. The band can call the dances if required and will have you whirling around the dancefloor all night! 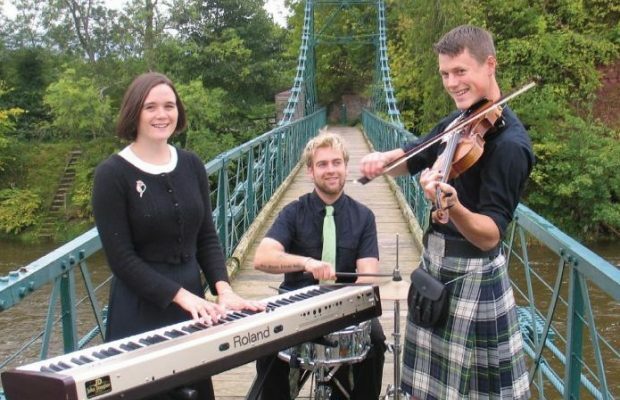 Animated and up-tempo Scottish ceilidh band with an energetic and contemporary approach – ideal for dancing at weddings, anniversaries, birthday parties or community parties. Caller included. DJ service available. The catchiest songs of all time, played in the most elemental and musical of fashions - Sweetbeat Duo strip back your favourite music presenting a sound that is sophisticated yet beautifully simple. Nationally cherished Scottish ceilidh band who recently featured on BBC's Monarch of the Glen and STV's Heartless! Additional ceilidh horn section, caller and DJ service available. 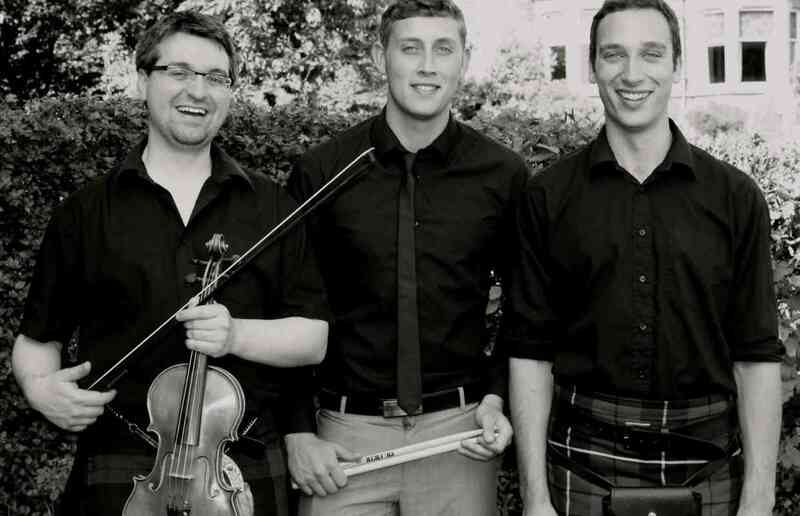 Popular Scottish Ceilidh band featuring a former Scottish National Fiddle Champion! This internationally acclaimed group have performed all over the UK and Europe. Solo fiddle, accordion & fiddle duo, fiddle & guitar duo, string trio or quartet also available! Fun and lively ceilidh duo, whose unique line-up includes a mix of instruments, dances, and folk songs. Four piece line-up available. Popular jazz-infused acoustic duo with female vocals and a large repertoire covering jazz, bossa nova, pop, country and rock'n'roll. Great value party and wedding band in the North East who've supported The Klaxons and Turin Brakes and bagged the coveted XFM unsigned band award. Large rock and pop song list spanning seven decades of covers! DJ service available. Impressive male-fronted rock and pop wedding covers band from the North East. Book the band with female vocalist, brass section, DJ service or acoustic afternoon sets. 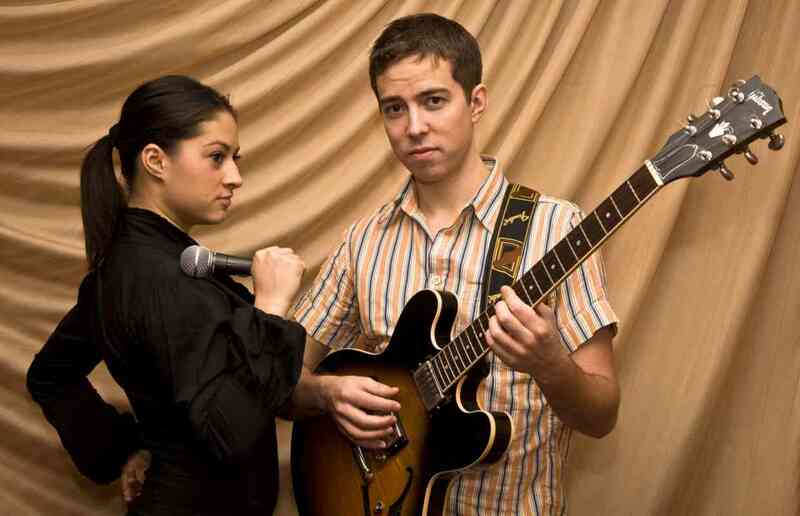 Young yet experienced jazz duo, playing their own carefully crafted arrangements of classic jazz tunes. Solo guitar sets or larger line-ups available. A swinging big band playing a winning, energetic mix of 30s jazz, 40s swing & jive, 50s rock'n'roll and 60s soul hits. Afternoon trio or quartet sets and DJ service available. Authentic rock'n'roll band playing 1950s and 1960s hits as well as modern songs with a vintage twist! Dynamic and trendy pop, Motown and soul band with impressive industry credentials and a vast playlist of soulful floor-fillers by artists such as Marvin Gaye, Aretha Franklin, Justin Timberlake, Usher and Rihanna. Acoustic set and singer waiter option available.